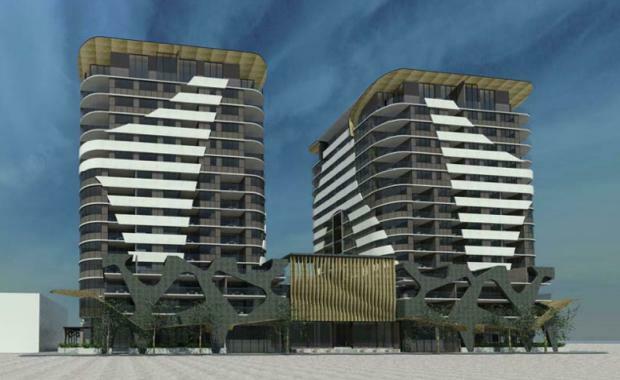 Developers Dibcorp have lodged an updated development application to Brisbane City Council for its mixed use project at 21 Longland Street, Newstead. The two 14-level towers will still include residential dwellings of one, two, three and four-bedroom apartments for a total of 156 apartments. However, in plans lodged on August 16, changes are proposed for the project's square metre allocations. In previous plans approved during 2015, levels 1-3 were approved for 868 sqm, and in new plans, these floors have been marked up to 933 sqm - the only floor to see an increase. Levels 4-9 in old plans featured 762 sqm, which has been broken up in new plans as levels 4-8 are proposed for 700 sqm. 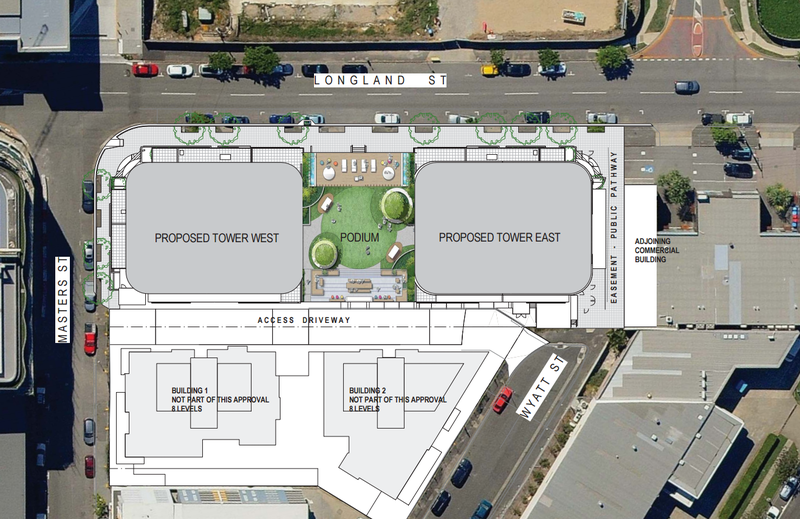 Level 9 in previous plans would feature 762 sqm but this has been reduced to 164 sqm in new plans. Levels 10-13 were previously slated for 1030 sqm and have been reduced to 656 sqm. Level 14 was previously 356 sqm which has been now proposed as 200 sqm. The total square metrage was previously 4340 sqm, now reduced in new applications to present 3977 sqm, a reduction of 363 sqm in total. 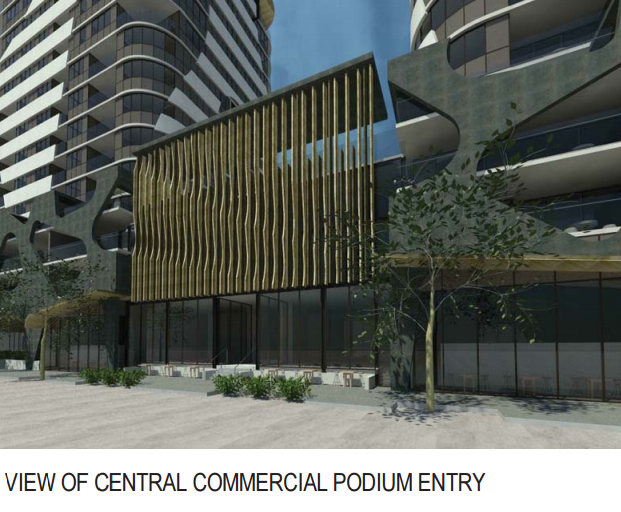 A retail hub/central community recreational area comprising 1670 sqm will feature in the centre between the two buildingsThe 2818.6 sqm site will house 254 car parks over three levels, including 207 resident car parks beneath the two buildings. 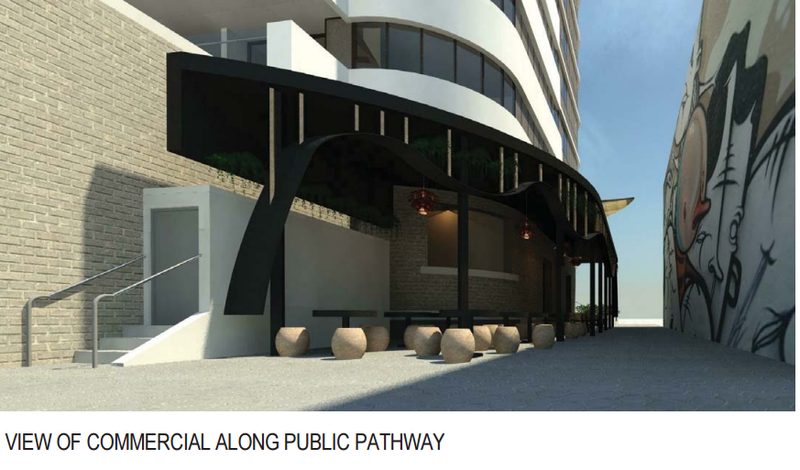 1670 sqm will be put aside for retail use, according to the application. The application lists Wiltshire Stevens Architects as the project's architects.